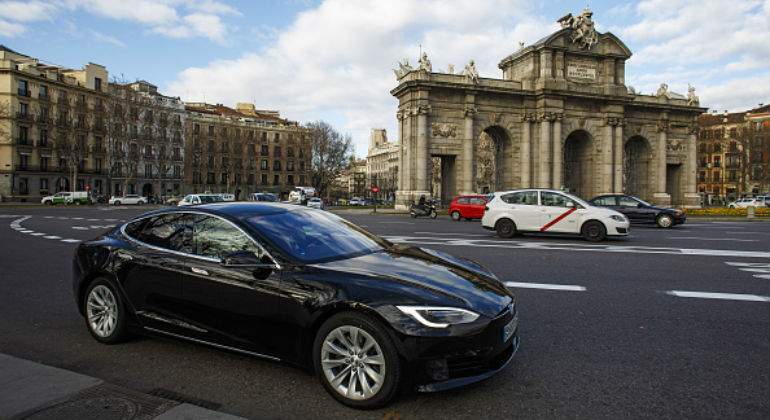 The Spanish Government is placing restrictions on VTC (private hire vehicle) licences that are contrary to freedom of establishment and to provide services consecrated in the European Union Treaty to Guarantee the European Single Market. The obstacles the Government has placed on operating VTC licences, contrary to the European Single Market. Royal Decree 1076/2017 was enacted on 29th December 2017, to establish complementary rules tot he Regulations of the Act Organising Land Transport (ROTT). This is such a short Decree that it only has two articles, that concentrate, 1/ on one hand, on limiting VTC authorisations for the first 2 years from issue, and 2/ on the other, demanding that VTC licence holders (who are not usually the drivers, but rather the company or fleet for which they work) notify the Authorities of the route sheet data by electronic means. The relevant point regarding this Decree is not that it changes the rules of the game for VTC permits, once they are granted, but rather that it contains another two – new – major obstacles to competition by VTCs compared with taxi drivers, on the urban passenger transport market, in the service segment, that had previously been applied for. The defence of competition authorities had already issued findings against the obstacles to the VTC on numerous occasions, most especially the National Commission for Markets and Competition (CNMC) and the Catalan Competition Authority (ACCO). – In particular, any restriction that amounts to imposing numerical limitations on the offer. – establishing disproportionate amounts of mandatory insurance coverages and/or the obligation to have a minimum number of vehicles to be able to carry out VTC activity. * To eliminate unjustified restrictions on exercise of taxi and VTC activity. – mandatory requisite for VTC being hired in advance to be able to travel, and/or impossibility for VTC to be able to ply for hire in public thoroughfares. * Limiting participation by associations and representative organisations in the sector prior to adopting administrative decisions. The existence of asymmetric information between operators and the Administration, as the former have more information on the market and may have incentives to participate in the process, providing a partial or biased information, makes one able to favour interests apart from the general interest. This type of consultation mechanisms have a high risk of giving rise to an self-regulation or co-regulation system, to the extent that the Administrator that holds the power to regulate bears in mind the interests of these associations in a predominant manner, not adopting a socially optimum regulation. * Quantitative limits to VTC licences (that limit VTC permits to one for every 30 taxi licences). * Obligation on prior hire of the service and prohibition to compete directly in the street (by hailing the vehicle) [we must remember that there are three segments in the urban transport market for travellers: in the street, at stops and by prior request. Of these three, the first two are reserved for the taxi monopoly. VTC licence holders may only compete with taxis in the third segment]. * Geographic restrictions in providing the service that break up the Spanish market [as the VTC are bound to usually remain within the territory of the Autonomous Community where the licence is based]. * Establishment of a minimum number of vehicles  to operate to the detriment of freelancers and unnecessary, discriminatory restrictions for new entrants, regarding the representativity and age of the vehicles (maximum of 10 years). * the obligation to communicate the route on real time, which may suppose a very high administrative burden for the VTC. In spite of this, the Ministry of Development continued with the regulation, that it approved on 29th December, as RD 1076/2017. Due to that, the CNMC has already issued a requirement to the Government on two occasions (on 13th and 27th February 2018) in order for it to repeal said RD 1076/2017, and voluntary suppress the restrictions detected, in order to avoid an appeal before the Supreme Court (that is indirectly announced). However, this time, it would no longer do so by virtue of Article 27 LGUM, but rather the competence it is granted under Article 5.4 of Act 3/2013, on creation of the CNMC, to “challenge acts by the Public Administrations subject to Administrative Law before the competent jurisdiction, and general provisions with a rank lower than the law, of those giving rise to obstacles to maintenance of effective competition on the markets”. It is important to emphasise that the mechanism of Article 5.4 of the CNMC Act is a sort of “last resort” when faced with especially severe situations for effective competition on the market, normally in sectors where instruments of a non coactive type have already been resorted to, as would be the case of the previous challenges in 2016. Adoption of this mechanism, on the contrary to Article 27 LGUM, is the competence of the Competition Chamber of the CNMC. In addition to all those pronouncements, one must add that the CNMC Report of 17th January 2018, among its periodic reports within the framework of the LGUM, on barriers to practicing the activity of vehicle hire with a driver, due to restrictions imposed in certain locations (such as the impossibility to use the bus lane, of access to areas with restricted traffic, or limitations on parking time). The Catalan Competition Authority has already issued its finding against those obstacles. In particular, one must state that the last two obstacles introduced by RD 1076/2017 had already been flagged up as contrary to competition in the Report issued on 4th September 2017 by the ACCO on Decree Act 5/2017, of urgent measures to organise transport services for travellers in vehicles with up to nine places. All this, without prejudice to the pro-competition reflections by the ACCO on the model that regulates taxis and hiring vehicles with drivers that were published in December 2012. Notwithstanding this, the ACCO is now studying the Decre that had been signed by Ada Colau, in her capacity as Mayoress and President of the Metropolitan Area of Barcelona (AMB), through which a By-Law was drawn up that would establish regulations for operation of VTCs, within the metropolitan are, to attempt to regulate such vehicles. According to what the Mayoress explained, all the VTC licence holders who wanting to provide services within the boundaries of the AMB would have to apply for a permit known as “second licence” (see tweet of.03.2018 in that regard). Too many breaches and gratuitous arbitrariness when legislating. To conclude, these are yet another restriction on freedom of services and establishment, consecrated to guarantee the European Single Market, without attending to imperious reasons of general interest, nor the principles of efficient regulation of need and proportionality. How long will the central Government, and the rest of the regional regulators, continue to ignore their obligations regarding the Interior Market? Until when will the citizens continue to allow systematic breach of the LGUM and the Services Directive by our governors without holding them liable (i.e. in terms of assets) for all this?